Personally I'm waiting on the Wii just because Xbox is too expensive and I really don't think Sony needs to be in the video game market. I'm not getting any of them. How do you know how expensive the Wii is going to be? To my knowledge, they haven't released any info about that. be cause i love to play video games. and why not? PS3!!!! YAAA!!! PS3 is da Shizznit!! I am a Xbox hater, for just jumpin in the game and takin over. My dad got me a PSP for my B-day, and he said he had some special deal on it. ;/ He said that Icould trade it in for a PS3 and just pay the rest later........sounds too cool to be true........but if it is......AWESOME!!!!! I've played the 360 some, and I don't really see how it's better than the regular X-Box except that I love the little button in the center of the controller. So when the X-Box overheats and I need to reboot it I just have to push the button in and hold it and the unit turns off, then I push it again and it turns on. I also love the visuals it displays while a cd is playing. But the only things I play on X-Box are KOTOR and GTA. I haven't really gotten into any other X-Box games. I want a Wii, just cause I like Nintendo games. My mom bought a PS2...just so she could play DDR whenever she wanted. We don't use it for anything else. I personally dislike consoles as a whole, simply because I have more fun with a keyboard and mouse than a controller (especially for shooters and strategy games). Good gaming computers are expensive, I admit, but you can always do a lot more with a good computer than a good console (word processing and Photoshopping, to name a few). My brother uses his X-Box to play some online Final Fantasy game. It looks fairly easy to do. He says that there's a few USB ports on the 360 that you can plug a keyboard into. And then I think there's some cord you can use to connect the unit to the harddrive, cause I remember he had some trouble with it at first. But I'm no expert on it. Oh, he also still uses the regular controller to move around with. I would assume if there's usb ports you could hook a mouse up as well? I don't know. I think the only reason I'd ever buy a Playstation anything is for the Anime games, Ghost in the Shell, titles they don't put on any other system like Gundam games. I can't play computer games very well, I just stopped trying after a while, although Age of Mythology is pretty fun. 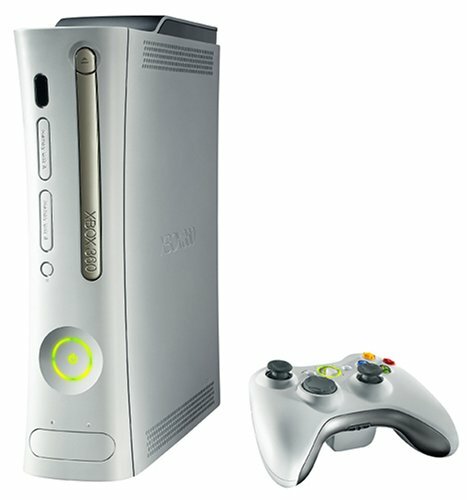 Besides the 360 is an ugly piece of junk in my opinion. But hey, whatever floats your boats. They have anounced it will be the cheapest. I'll get Wii. Wii will be around $250 American big ones, like all Nintendo new consoles are. by the time the prices are marked down to reason, all the good games will be out and i'll be able to figuer which is realy the best. so Im just gunna wait and feel sorry for any body that makes the wrongchoice for jumping the gun. It took over because it's better. It doesn't take a genius to figure that out. I dislike PS because the controllers arte crappy, and Xbox statistically appeals to older (cooler) gamers, while the PS appeals to adolescents and preteens for some strange reason. Though it's probably because PS has more T rated sports and racing games, while Xbox has more M rated shooters and action games. I agree with you on that. I've tried playing games on the computer, I'm just not good at using a mouse. (same problem I'm having with Resident Evil, is the weird maneuvering, I'm used to turning the stick and moving with that) And remembering if it was A or Z I used to shoot and hoping that when the monster jumps at me I can have the reflexes and ability to hit the right one. Whereas on a regular controller there's only a handful of buttons, which are spaced out enough that you hit the right one. However, I love playing Sim games for PC. Those were designed for PC! I don't like the games like Busting Out and Urbz. They're ok to play, but they're not that great. Sims 2 for Gamecube is really good, though, I think. I have a laptop with a pad instead, it's a little easier but it irritates my skin if I use it too long. Computers really haven't been desgined for gameplay. I hate pads, they make my fingers burn really badly, even if I don't touch it very often. Yup, I had the exact same problem with RE, but it's so dang long I eventually got the hang of it. Great series though. 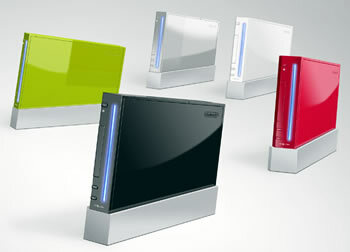 Now that the Wii and PS3 are out and they have had a little time to develop, what is your people's favourite console? I like the 360 because of game choice for one. x360 has the best online set-up. great exclusives, but is plagued with the red lights! ps3 has MGS. and well the price drop. i vote xbox 360, but sony could come into the picture soon. The Wii alows you to play a myriad of old games from the Nintendo Entertainment System, the Super Nintendo Entertainment System, and a few others that I cannot think of. I do not have the Wii, but I'm pretty sure that all of the old games are completely free.